The 176-unit Luceras Villas apartment complex has been sold for $8.75 million. The complex at 3985 E. Cheyenne Ave., Las Vegas, was built in 1999 and sold for $49,716 per unit. The buyer is Exeter 1031 Exchange Services LLC for Ventana-Windmill LP. The seller is Pacifica Joshua LLC. The property received multiple offers, according to NAI Vegas, which represented both parties in the deal. Patrick Sauter and Art Carll were the brokers. • Sakley Family Trust purchased a 9.07-acre parcel of vacant land on the southeast corner of Rainbow Boulevard and Arby Avenue in Las Vegas for $8.2 million. Scot Marker of Colliers International represented the buyer. • Premium Waters Inc. leased 163,790 square feet of industrial property at 3355 N. Lamb Blvd. in Las Vegas. 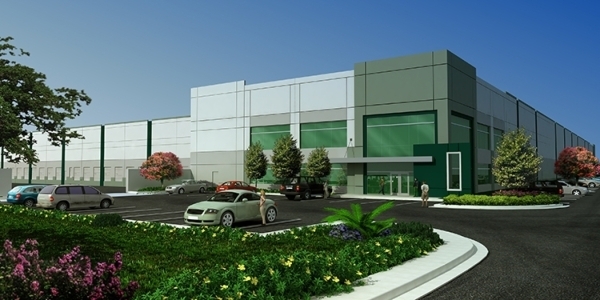 Dan Doherty, Susan Borst, Chris Lane and Jerry Doty of Colliers International represented the lessor, Prologis LP. • Encore Technologies Inc. leased 15,750 square feet of office space in Corporate Center, Building G at 8850 W. Sunset Road, third floor, in Las Vegas. Andrew Kilduff of Colliers International represented the lessor, Building G LLC. Pat Marsh and Taber Thill of Colliers International represented the lessee. • Dollar Tree Stores, LLC, leased 9,483 square feet of retail space for 60 months at 5915 S. Eastern Ave, Suites 105-106, from MCP Airport Center LLC. Total consideration was $580,833.75. Nelson Tressler and Michael Zobrist of Newmark Grubb Knight Frank represented the lessor in the transaction. Lisa Callahan of Sage Commercial Advisors represented the lessee in the transaction. • Las Vegas Future Floors LLC leased 5,169 square feet of industrial space in Eldorado Business Center at 7485 S. Dean Martin Drive, Suite 101, in Las Vegas. Dean Willmore of Colliers International represented the lessor, Eldorado Business Center LLC. • Superior Plumbing & Drain LLC leased 4,975 square feet of industrial space at 175 N. Gibson Road in Henderson. Dan Doherty, Susan Borst, Chris Lane and Jerry Doty of Colliers International represented the lessor, Lackey Family Trust. • My Store Now LLC leased 1,640 square feet of office space at 5450 W. Sahara Ave., Suite 200, in Las Vegas. Renae Russo of Colliers International represented the lessor, J & Z International, Inc.
• Henderson Restaurant Supply renewed its lease on 5,000 square feet of industrial space at 1201 American Pacific Drive in Henderson. Dan Doherty, Susan Borst, Chris Lane and Jerry Doty of Colliers International represented the lessor, Roberts Ranch Venture LP.